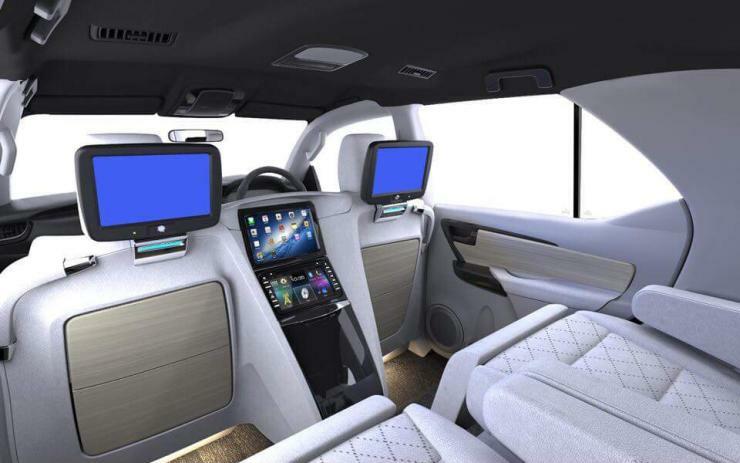 DC Design has come up with a brand new lounge for the latest Toyota Fortuner. Called the GWAGON, the lounge converts the new Fortuner into a luxurious four seater that looks like an airline on the inside while retaining the stock, butch looks of an SUV on the outside. What all does the GWAGON offer? In short, comfort, luxury and entertainment. The 7 seat layout of the Fortuner has been modified with the last row of seats removed. The middle row has been dispensed with for two luxurious captain seats that get pushed back to liberate a lot of leg room – think first-class airline seats. The seats are fully electric, with their own powered footrests for a lounge chair feel. 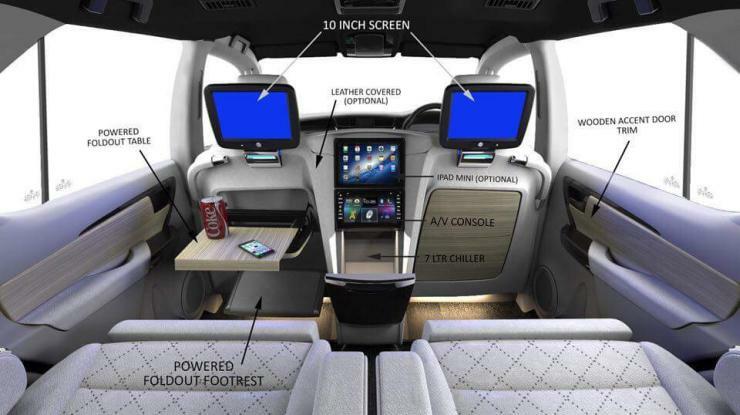 The front seat headrests get screens for entertainment, which is controlled by a large audio-video (AV) console that sits in between the two front seats. The console also has the option of an iPad mount. A 7 liter chiller sits at the bottom of the AV console. The seatbacks of the front seats have motorized lunch trays while the doors get wood trim. Apart from these changes, the entire interior gets a makeover in terms of the materials used. 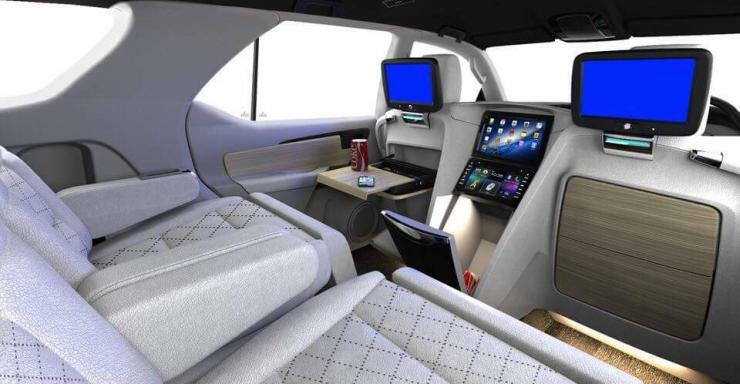 The DC Design modified cabin looks much more plusher than the stock vehicle’s cabin. As is the case with most if not all DC Design mod-jobs, the engine’s been left alone. The lounge is purely a cabin modification. Even the exteriors of the new DC Fortuner aren’t modified. So, what you get with the GWAGON lounge is a stock looking Fortuner with totally transformed interiors. DC Design hasn’t yet revealed prices of the GWAGON lounge for the Fortuner. Taking the Innova Crysta lounge prices as a reference, expect to pay about 5 lakh rupees for the basic version, with the price going up as more features are added. The Fortuner that’s now sold in India is available with a number of engine options. There’s a 2.7 liter petrol that serves as an entry-level model while diesel engine options include 2.4 liter and 2.8 liter motors. The Fortuner can be specified in both rear wheel drive and four wheel drive layouts. Both manual and automatic gearboxes are on offer.